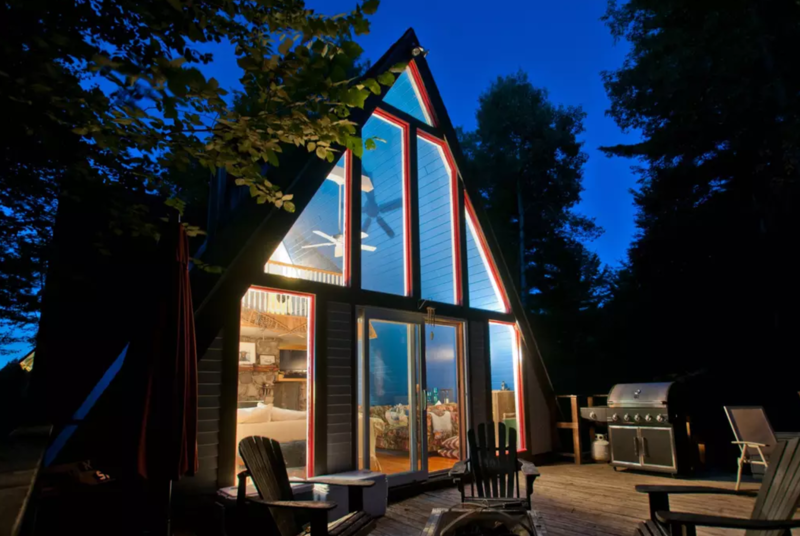 A cozy pet friendly A-frame nestled in the Jay Range with view of Whiteface Mountain. The home features a living room, fireplace, loft bedroom and fully equipped kitchen. With endless activities to choose from, we are located just 10 minutes from Whiteface Mountain and 20 minutes from Lake Placid.